Innovative London hair salon Ena is pleased to announce an introductory offer for new clients which includes a 20% discount on hair salon services. A flagship Davines retailer, Ena Salon offers the highest standards of cut, colour and styling and is led by talented ex-Vidal Sassoon stylists Johnny Othona and Pedro Inchenko. Allilon is about passion for the craft of hairdressing, and we offer a range of London hairdressing courses and events designed to progress personal development and develop knowledge throughout the craft. 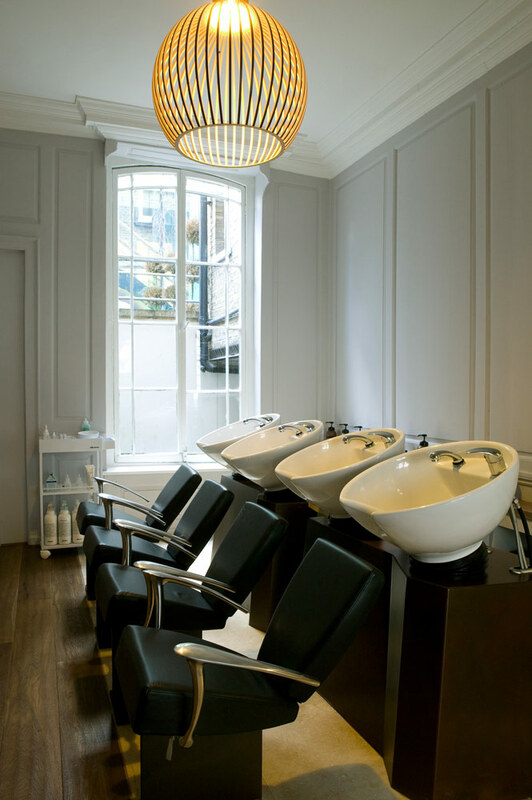 Located in a stunning listed building nestled between London’s Covent Garden and the City lies a small sanctuary that embraces hairdressing, beauty and superior education on four beautifully finished floors. With sumptuous lounge areas, tranquil treatment rooms and spacious cut and colour floors, every inch of Ena Salon is designed to set a new standard in hair salon environments and deliver an innovative and premium client experience. Ena is also a flagship retailer of well known premium Italian brand Davines and as its product partner, uses Davines naturally sourced colour care and styling products throughout the salon. Ena Salon staff are trained to very high standards to serve clients with passion and care and create personalised styles that flatter. They utilise high quality hairdressing techniques to ensure both cut and colour continue to look great between salon visits. From the second they arrive in this beautiful tranquil setting, clients are welcomed by the friendly staff and made to feel very special. Ena Salon founders Johnny Othona and Pedro Inchenko designed Ena with a view to offering a unique, welcoming and bespoke London hair salon experience for every customer. As well as their leading hairdressing offering, Johnny and Pedro also offer innovative education for hair professionals who wish to continually improve their craft and ensure the highest level of technical skills, through Allilon Education. Founder Pedro Inchenko explains: "Allilon Education is the culmination of our vision, after over a decade of working together at Vidal Sassoon, with Johnny as Art Director and myself as Principal of Vidal Sassoon’s Advanced Academy. Allilon is about passion for the craft of hairdressing, and we offer a range of London hairdressing courses and events designed to progress personal development and develop knowledge throughout the craft. Our courses combine theory as well as practical experience, with both teacher training and bespoke courses also available." Allilon services are in high demand both in the UK and abroad and the team regularly participates in annual creative collaborations at hair shows to deliver truly inspirational events. Ena Salon is currently offering all first time clients a 20% introductory discount on hair salon prices, so all those seeking a change for the New Year or a new flattering look should book in now. Ena Salon also offers online booking for hairdressing appointments directly from the hair salon website http://www.enasalon.com. 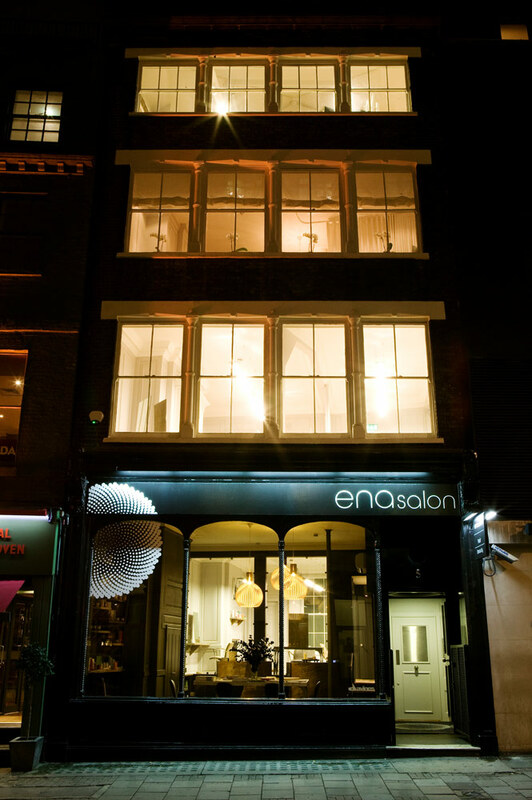 Ena Salon is a London hair salon and beauty experience, in the heart of Covent Garden, close to Holborn and the City. Offering complete hair and beauty services, for both men and women, Ena Salon provides a unique salon experience with expert haircutting, styling and colouring alongside holistic massage, waxing and nail care; all under one roof. Ena also offers a wide selection of beauty services ranging from hair removal (waxing, threading, IPL laser) to holistic massage and facials to nail care (manicures and pedicures). Ena’s hair salon is the flagship distributor of top-quality Italian hair care products from Davines. Our Beauty salon is the proud distributor of Italian skin-care brand [comfort zone]. All Ena staff receive training from the inhouse education services of our sister company Allilon Education.